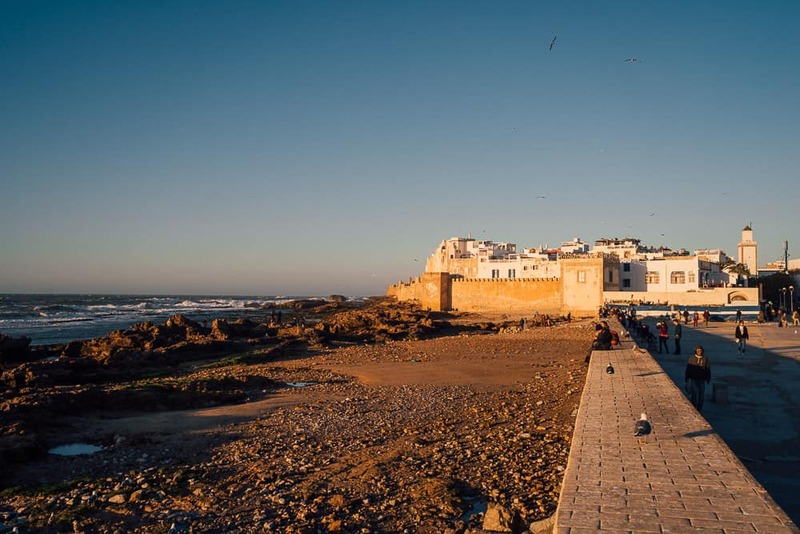 Essaouira is one of Morocco’s most popular and laid-back beachside towns on the south-west coast of North Africa. 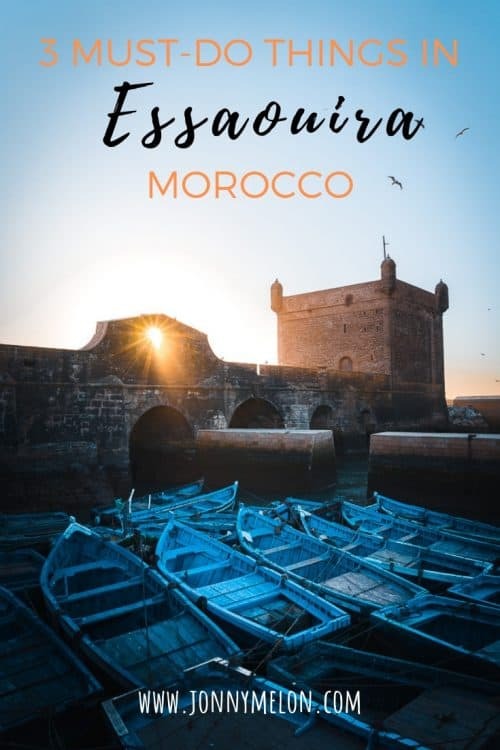 I spent one day in this bright and breezy coastal town as I was backpacking Morocco with Travel Talk Tours and have put together this short guide of things to do in Essaouira. 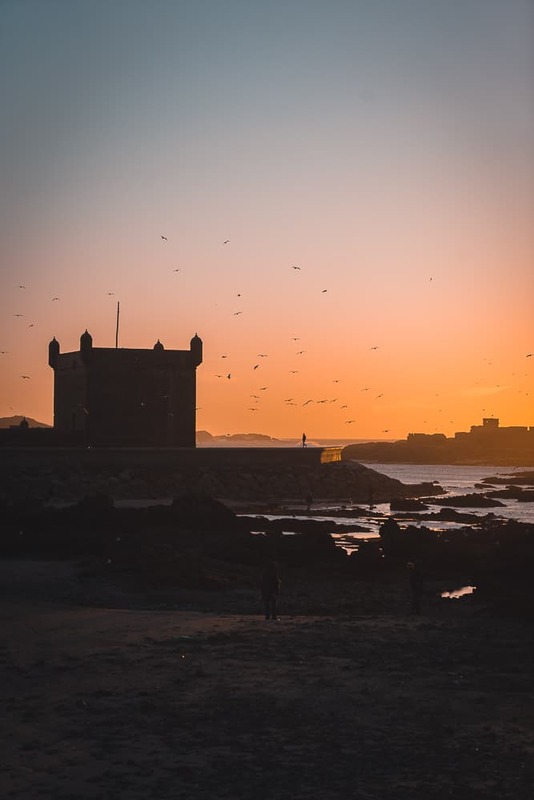 Essaouira is approximately 3-hours drive west of Marrakech, located on the south-west coast of Morocco. Essaouira can be reached by bus, plane or private taxi. If you prefer to travel budget, CTM is the most reputable bus company in Morocco and their buses operate daily, to and from Essaouira. Click here to check timetables. 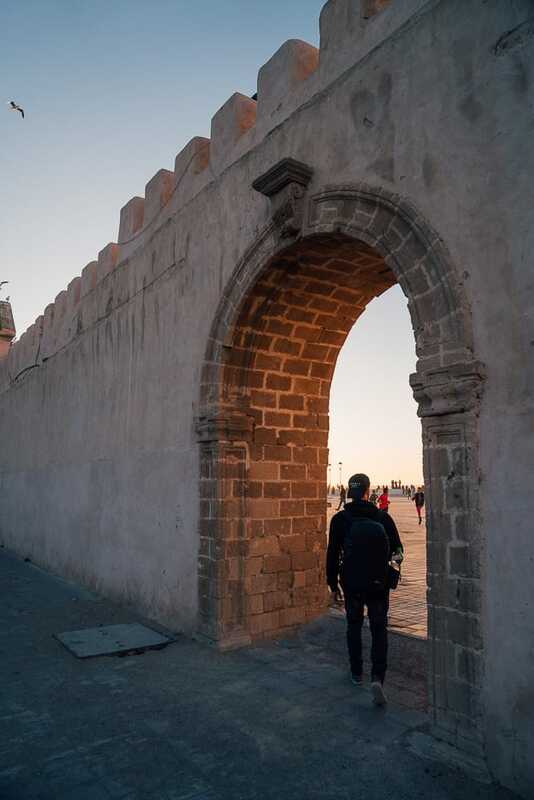 I arrived in Essaouira via bus from Marrakech on Day 2 of my Travel Talk Morocco Tour. 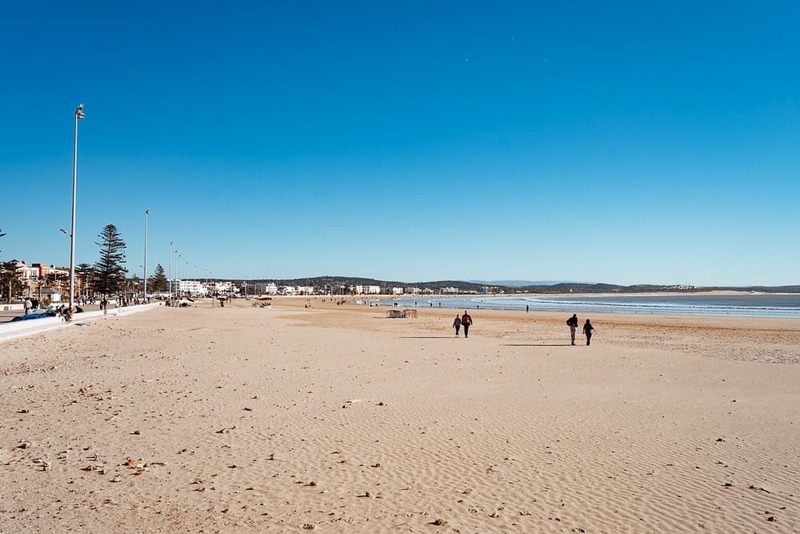 A stroll, swim or surf at Essaouira Beach is one of the best things to do in Essaouira. 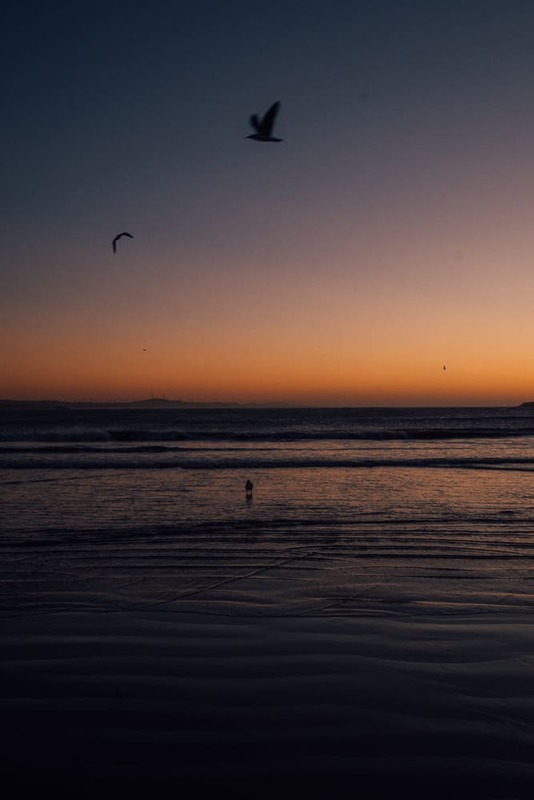 It is a popular spot for surfing in the Atlantic Ocean during the swell season in the winter months of December – March and on windy days it is a haven for kite surfers. 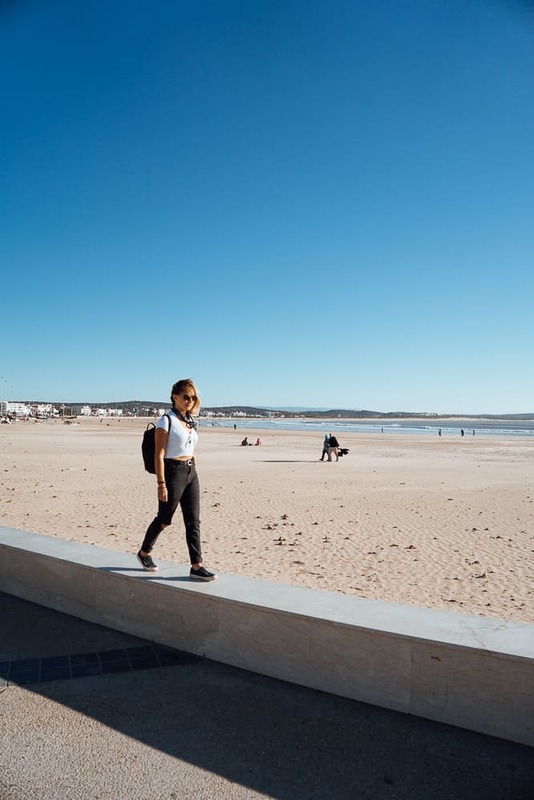 For non-surfers, Essaouira beach stretches 2km around the bay, so you’re guaranteed to find a secluded spot along the sand to sunbathe and swim. 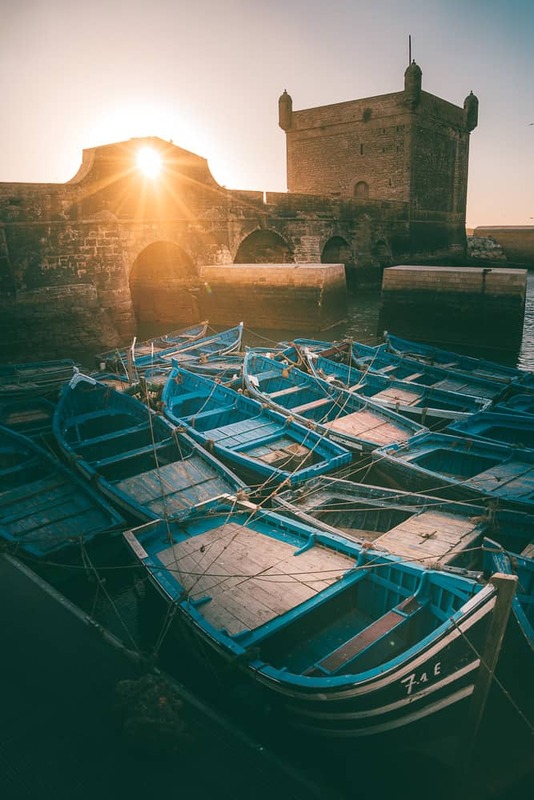 Half a dozen restaurants and cafes are situated along the pristine shoreline at Essaouira Beach – the perfect spot for lunch and to chill in a hammock or beach chair, soaking up some Vitamin-D.
Getting lost in the rabbit warren of souks inside the medina was one of my favourite things to do in Essaouria! Each small street is filled with handmade garments of sorts, spice shops, souvenir stores and seafood restaurants. 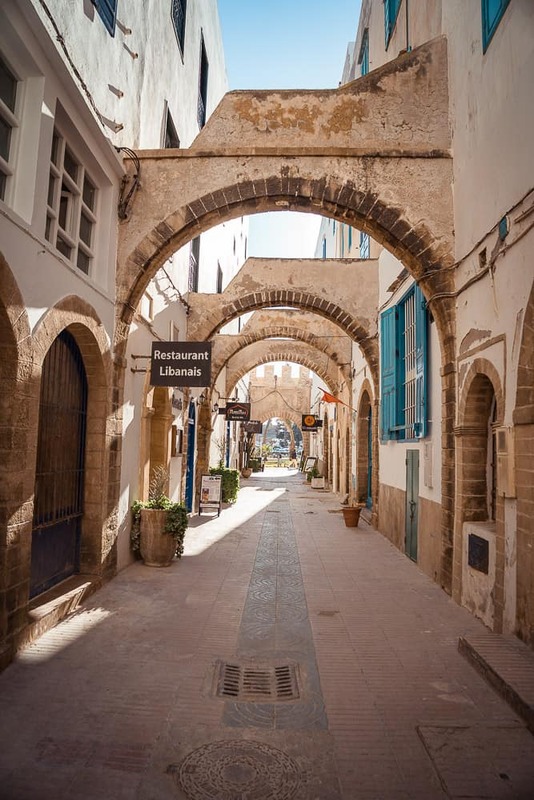 In 2001, the medina of Essaouira was declared a UNESCO World Heritage Site. 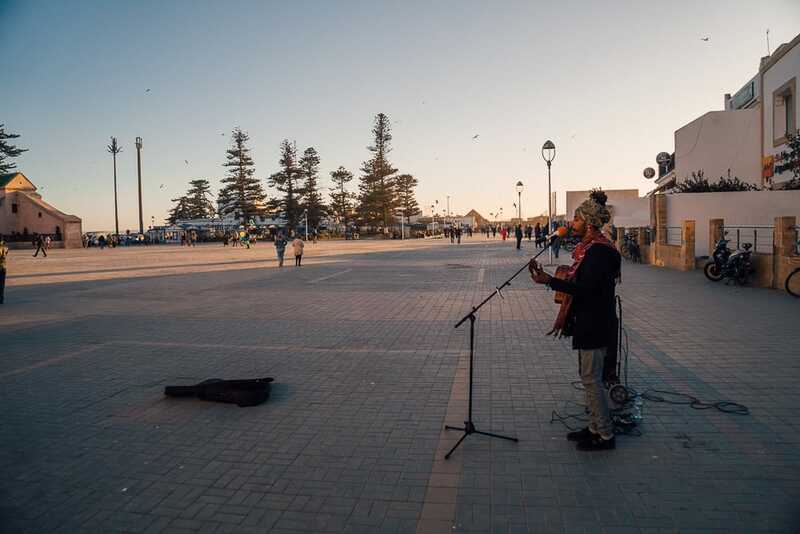 Also, don’t forget to head over to the large open square down by the Essaouira Port when it comes alive during the late afternoons and into the night. Listen to the street buskers and grab something to eat and drink as the sun begins to set over the Atlantic Ocean. 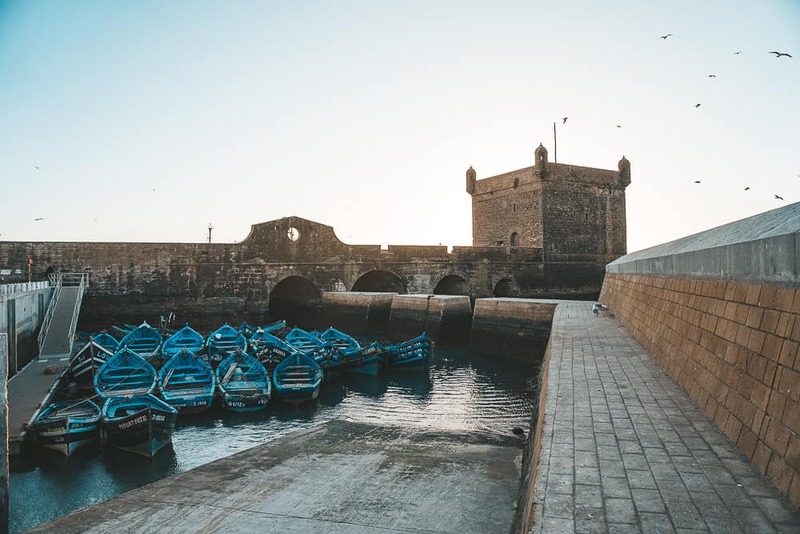 One of Essaouira’s main attraction is the traditional blue fishing boats that can be found down by the fort walls. A postcard-like setting is a painters dream and it’s also one of the best locations to watch the sunset. 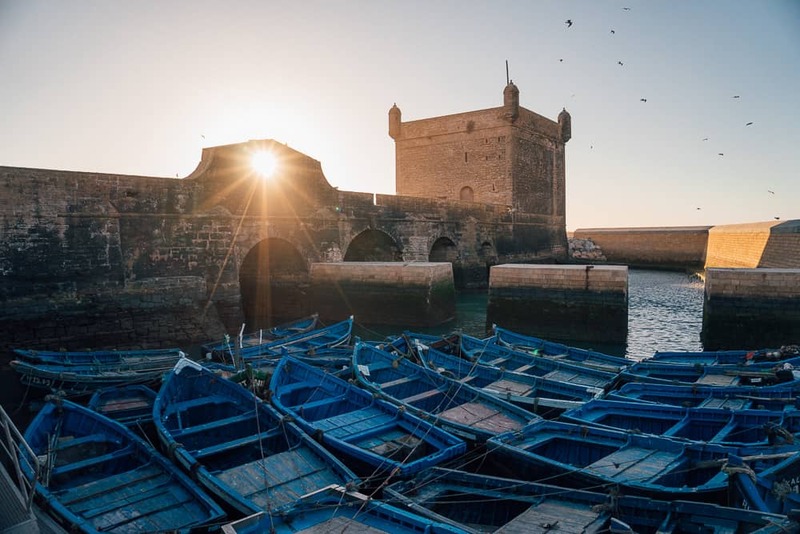 After some hours spent down on Essaouira Beach, followed by getting lost inside the beautiful medina, the bustling port is the best place to finish off a day in Essaouira!